Imagine chopping the sports section out of a newspaper and selling it on its own, online, along with sections from 14 other cities. That’s the product The Athletic founders Adam Hansmann and Alex Mather have engineered, and it may trigger a significant re-think of the sports journalism field. 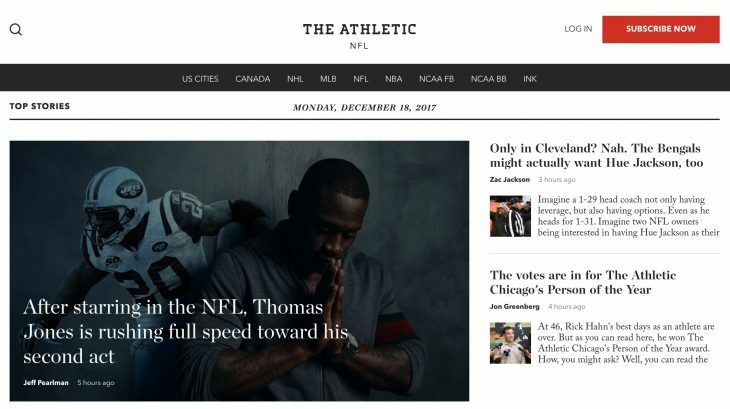 The Athletic is a network of standalone, digital-only subscription sports sites claiming to offer readers a chance to, as the tagline suggests, “fall in love with the sports page again.” They intend to do this by hiring established, even renowned, writers and eschewing the advertisement-based revenue model, thus freeing them from writing for a certain number of clicks and allowing them to pursue any story they deem to be meaningful and of genuine interest to passionate readers. Hansmann and Mather think this dynamic will allow The Athletic to thrive in an otherwise roiling industry. “For us, if 1,000 people read a story, but it sells 10 subscriptions, that’s a big win,” James Mirtle, editor-in-chief of The Athletic said. “Whereas, if a story at a newspaper only gets 1,000 reads, that would be a loser for them and they probably wouldn’t do it again.” While the founders won’t release the total number of subscribers, which pay $60 a year for access, they say their most successful outpost – The Athletic Toronto – has over 15,000. As ad-based revenue influences the content of some sports journalism outlets and others, like FiveThirtyEight, invest in detailed, analytical reporting, sports journalism is moving toward a defining moment. 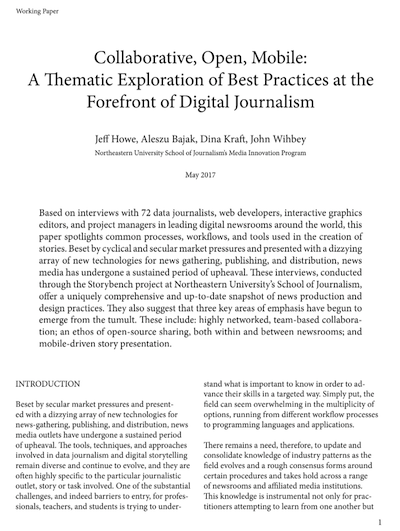 The proliferation of digital media has given consumers more options than ever; a reader can get her sports content from the website of a traditional newspaper, from national sites like ESPN or CBS Sports, or from a crop of new sites like The Athletic that are changing the way reporters have to think about their work. 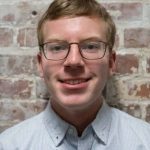 Alex Iniguez, an assistant sports editor at the Pittsburgh Post-Gazette, isn’t gripped by fear of the product The Athletic has suddenly thrust into the market when, in 2017, it set up an outpost in this mid-sized, Midwestern American city populated by descendants of steel-workers and present-day medical, tech and education innovators. Pittsburghers’ devotion to their local sports teams made the city an ideal testing ground for The Athletic. But does the startup worry legacy media? The sports editor at The Boston Globe, a paper that caters to a much larger and comparably rabid audience, isn’t sweating either. “If you’re going to produce that interesting material, people will pay for it,” Joseph Sullivan said. “It’s a question of how many people will pay for how many sites.” Granted, The Athletic hasn’t set up shop in Boston yet, but the market is nonetheless influenced by the trends of the nationwide industry. Iniguez’s and Sullivan’s insistence that their newspapers aren’t at risk may be overly optimistic. Stephen Nesbitt, a sports reporter for the Post-Gazette, suggests that sports coverage is vital to the newspaper’s revenue. Seth Rorabaugh, currently a hockey writer for The Athletic in Pittsburgh, felt left out in September 2016, according to an article he wrote at the time. He had resigned from the Post-Gazette after being reassigned to a desk job, and the preliminary round of the World Cup of Hockey was taking place in Pittsburgh. All of the media cohorts he worked alongside during his years as a leading hockey writer at the city’s most-read paper were in the press room at PPG Paints Arena, and he was watching the tournament from his living room. Then, The Athletic showed up. And as part of their hiring spree targeting laid-off talent, the organization scooped Rorabaugh up to spearhead their coverage of the Penguins. The work he did for the Post-Gazette, though widely praised by hockey die-hards, apparently had not convinced the paper to keep him writing. But at his new Athletic gig he’d be free to write the stuff hockey junkies love reading without worrying about driving traffic. Nesbitt, on the other hand, is in a rare position. He works for a legacy outlet, but may have escaped the strictures of its revenue stream by being named a sports enterprise reporter. He grew frustrated with his old job covering the Pittsburgh Pirates, citing the never-ending sprint to keep up with MLB’s marathon like season and a lack of spare time to write in-depth features that excited him. For instance, when Pirates pitcher Jameson Taillon was diagnosed with testicular cancer, Nesbitt didn’t have time to write the powerful feature he wanted to. Needless to say, he was happy when he was offered a title change.He was given a rare platform in the traditional newspaper field, but he doesn’t think it’s a sign of things to come for others in the industry. Traditional newspapers, for their part, with editors like Iniguez and Sullivan at the helm trying to get enough clicks to be profitable while producing good content, may not be investing in the type of work that Nesbitt or Rorabaugh like to write. The Athletic, it would seem, is on a crusade to save that kind of coverage. Mirtle doesn’t think The Athletic is killing newspapers. In his eyes, newspapers are killing themselves. The Athletic is simply swooping in to rescue sports journalism from the grave the old-school papers have dug. They aim to hire writers laid off by the industry as well as ones who struggled to find work in the first place, and run as far away from that grave site as possible. “We’re trying to save the smart, in-depth story that’s being lost in sports,” Mirtle said. Tim Pugh, a college sophomore who spent the latter part of his childhood in Pittsburgh and follows its teams, doesn’t see much merit in the sports coverage offered by the Post Gazette. “Most of the PG articles are just game recaps for games that I watched anyway,” Pugh said. “I’m not going to the PG for analysis.” Instead, he goes to new-age, analytics-minded sites like Fangraphs and MLB Trade Rumors. For Christian Vogel, a 22-year-old lifelong Pittsburgher and die-hard Penguins fan, The Athletic’s strategy of springing for top talent in the industry lured him away from traditional outlets. Rorabaugh and Yohe, who previously worked at the Post-Gazette and the Pittsburgh Tribune-Review respectively, are still two of the most followed and reputable hockey writers in the market. The Athletic brought them aboard and with them gained Vogel’s money and presumably that of many others. Whether digital-only, specialized sites will dominate the landscape in the near future or legacy outlets find a way to adapt remains to be seen. 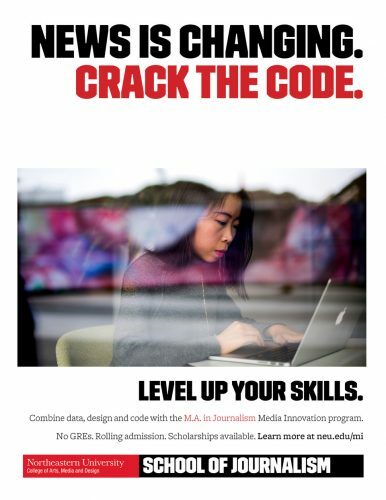 Charlie Wolfson studies journalism at Northeastern University.